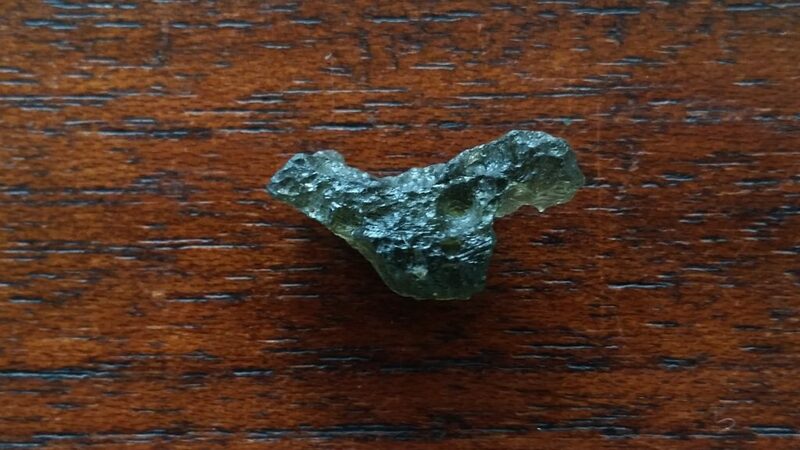 History/Mythology: is a rare form of tektite meteorite and was formed when a giant meteorite struck earth in the Czechoslovakian mountain region in Czech Republic around 15 million years ago. 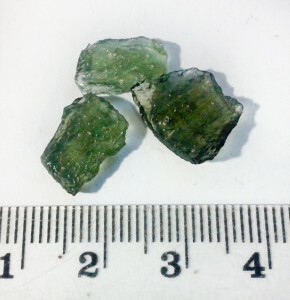 It is believed that the force of the collision combine by melting and fusing the material with Earth substances (not confirmed) which is what created these wonderful stones. 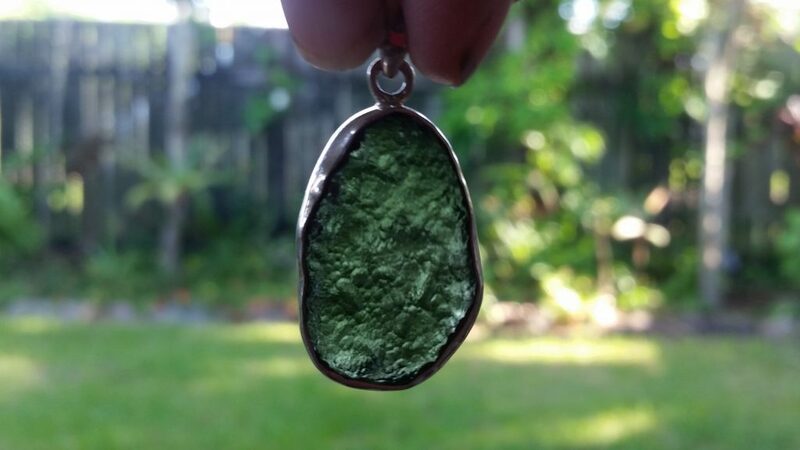 Therefore it is a fusion of extraterrestrial and mother earth energies. 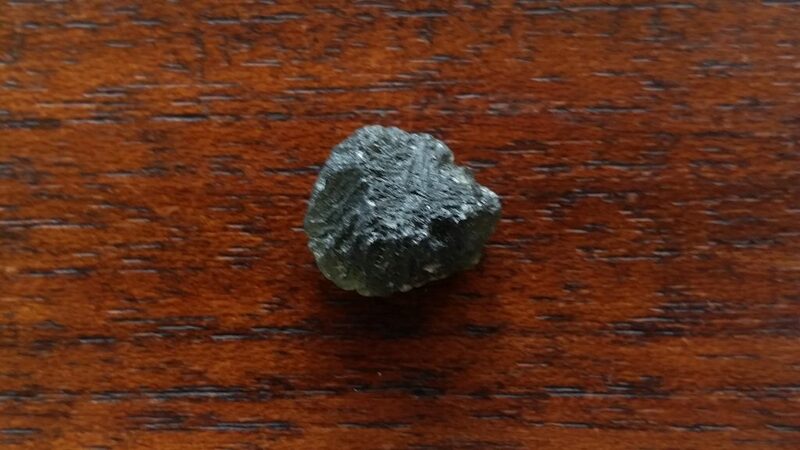 Moldavite is a tektite, and a stone of intense frequency and high vibration. 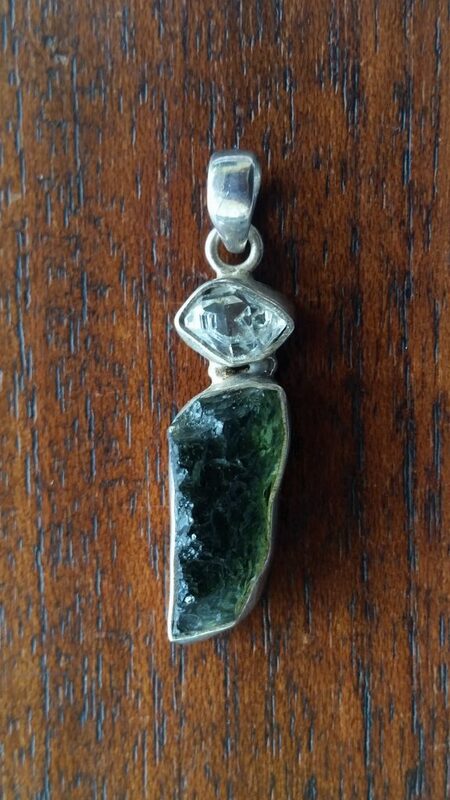 In ancient times it was thought to be a mystical stone that could bring good luck and fulfillment of wishes. 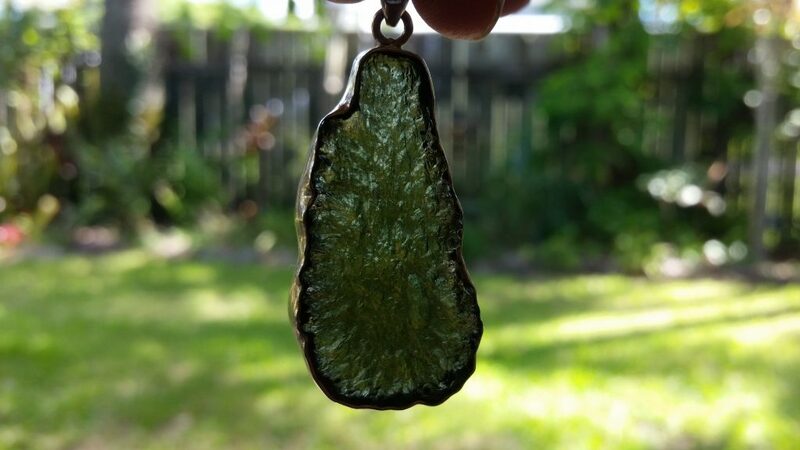 Moldavite is a powerful stones for transformation…. so that you can become the person you are meant to be. 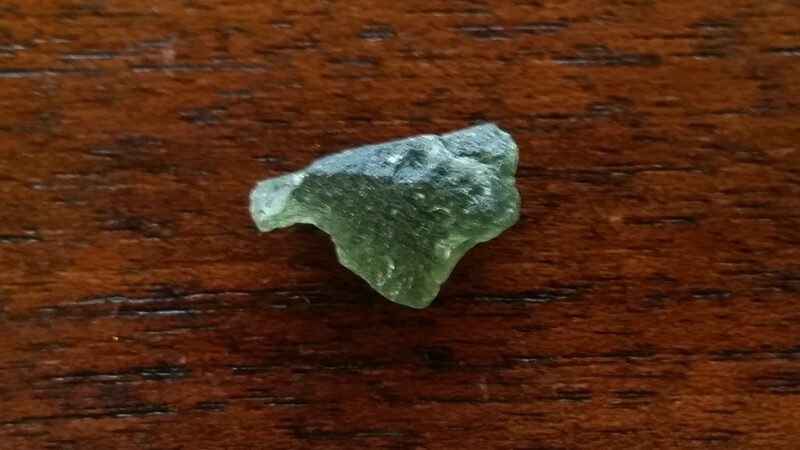 It is thought to be the stone known as “The Holy Grail Stone.” Moldavite is one of the best protection stones you can wear as it gives off a vibration that negative entities have trouble penetrating. 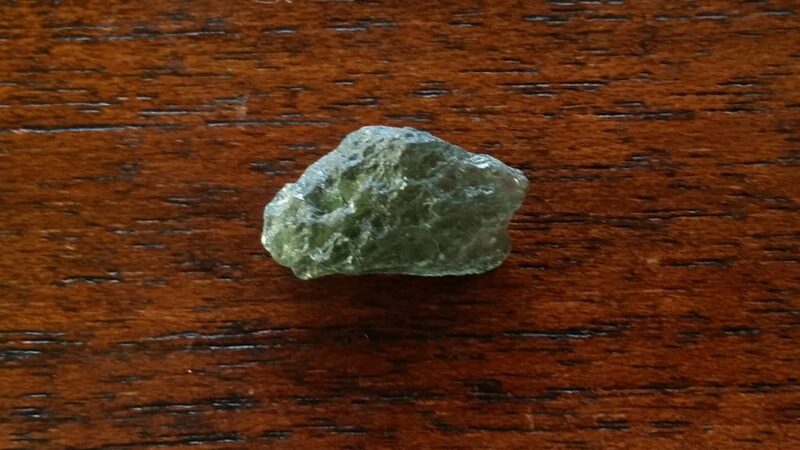 It is particularly good when you are working with spirit as it will help make sure you are contacting positive higher beings. 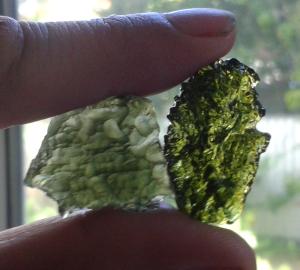 Moldavite resonates with the vibration of love and is very useful in assisting you with spiritual growth and healing. 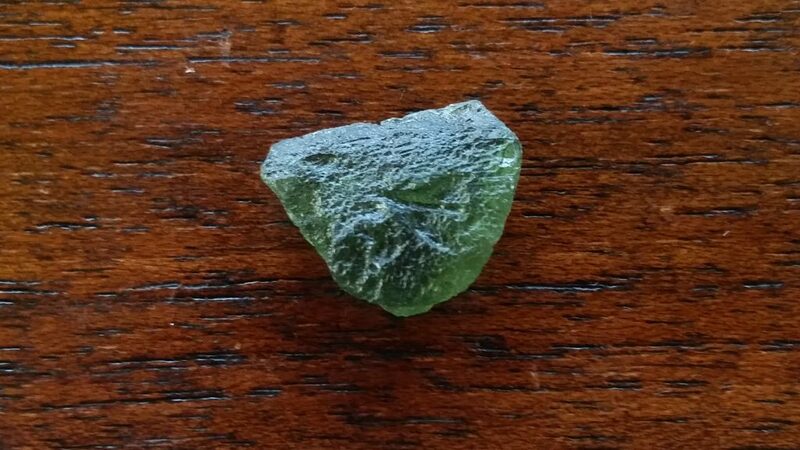 Healing – Rather than healing it makes you aware of the cause and source of the disease then supports the healing process. 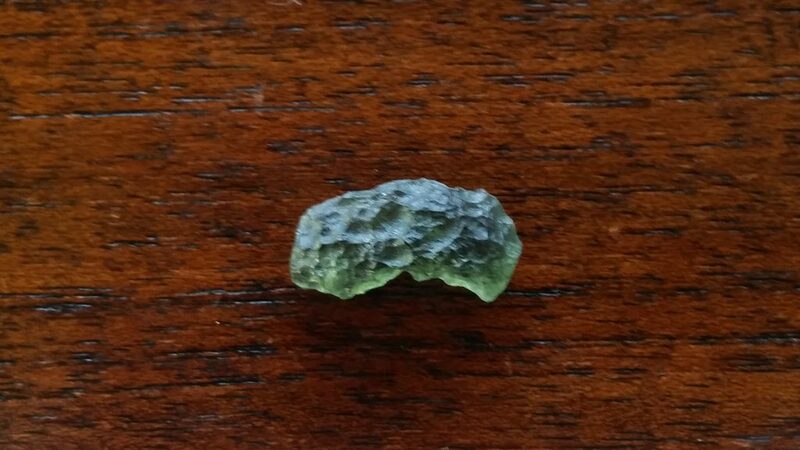 WARNING – there are a lot of fake Moldervite on the market. 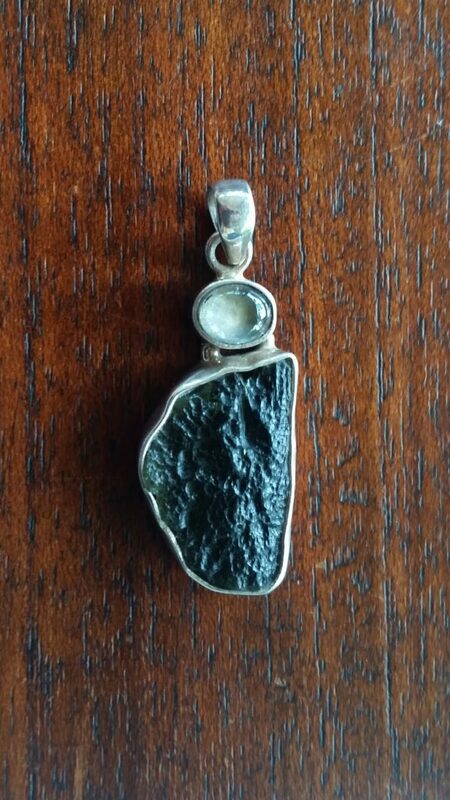 I usually avoid buying from China and Asian countries online and only buy from a trusted supplier. Please see a fake next to a real Moldavite below – the glossy looking one is glass. 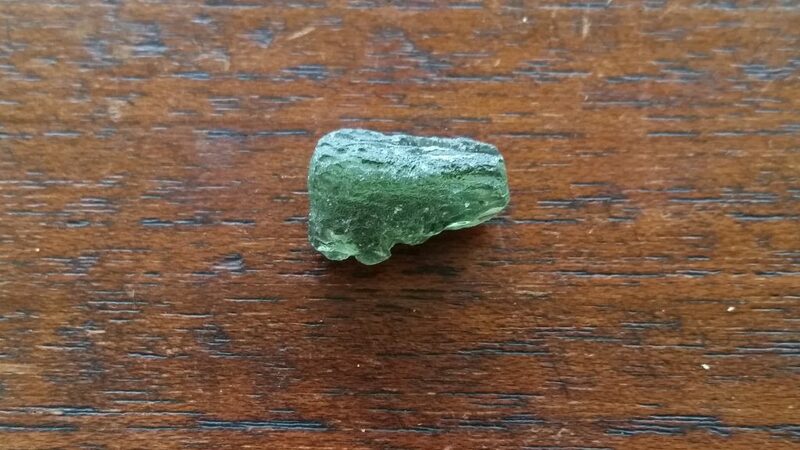 Moldavite should be worn for a long periods of time in direct contact with the body – some people find this very difficult to begin with and start by using it for small periods of time. 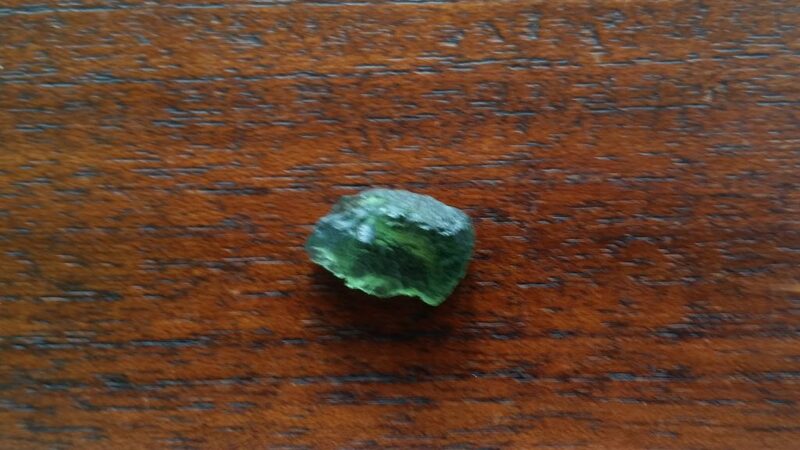 Warning – I have personally found having Moldavite in the bedroom can give me trouble sleeping.